We want to say a huge thank you to all our guests who have taken the time to write a review for us on TripAdvisor.  Mountain Sanctuary B&B has been voted #22 in the Top 25 Travellers’ Choice Award for B&B/Inns – Australia and our shiny new plaque will be delivered soon. We appreciate all your support and look forward to hosting you in 2018!